The I Rush Has Dual Lanes! 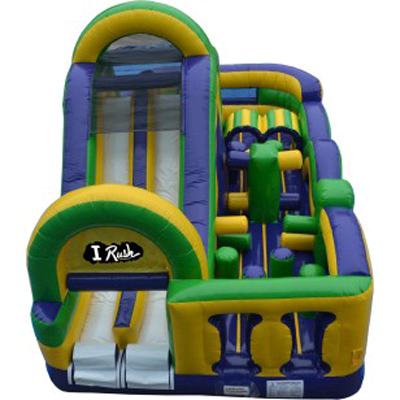 This I RUSH is the ultimate in compact obstacle courses with its bright yellow, green, and purple colors and its 7-element features. Included in this amazing course are obstacles to fit through, crawl under, jump over, and squeeze between, a rock climb, and an exit slide that stretches the length of the course.